Lightweight fill blocks are used in the construction process of roads, on and off-ramps on bridges, overpasses, or any other project with an unstable ground. This product significantly reduces the fill’s weight, and subsoil applied force. 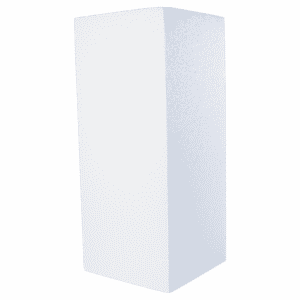 Polyform manufactures large expanded polystyrene blocks in various densities. They are available in your preferred dimension, up to 16 feet long. Water absorption of these blocks is negligible, and they offer a high vapour permeability. They will allow for a high compression resistance and an impressive long-term stability. EPS lightweight fill blocks. Thickness: 24” (1,8123m3). Compression 100 KPA. Density : Minimum 20kg/m3. EPS lightweight fill blocks. Thickness: 24” (1,8123m3). Compression 140 KPA. Density : Minimum 25kg/m3.